Our brain is quite complicated. 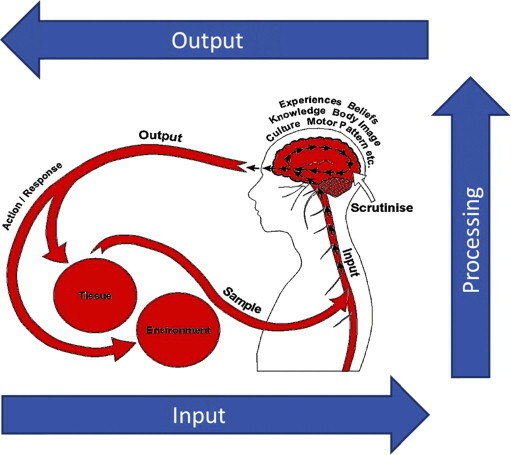 It is constantly going through extremely complex processing to achieve many different outputs (movement, speech, vision, thoughts, emotion, pain, allostasis, etc.). STRESS is one of the most influential factors on our brain’s ability to process efficiently. And in today’s society everyone has had it, many people live in it, and some people can never escape it. Part I went over stress, tissues, the nervous system, and many of the factors that are involved with recovery. It doesn’t take a subscription to a peer-reviewed medical journal to gain knowledge and understanding in the orthopedic world. Today there is a plethora of websites and blogs with so much free information that you can practically get free continuing education online. Here’s a list of some helpful sites. I’ve tried to focus on the ones that are more focused on concepts and education instead of product placement and marketing. Let me know if there is anything I’m missing. Ice is good for more than just keeping your favorite cocktail cold. It can have a profound effect on preventing and healing injuries. In fact, it’s been used as a healing modality (cryotherapy) for centuries and continues to be one of the main methods for reducing pain and accelerating tissue healing.